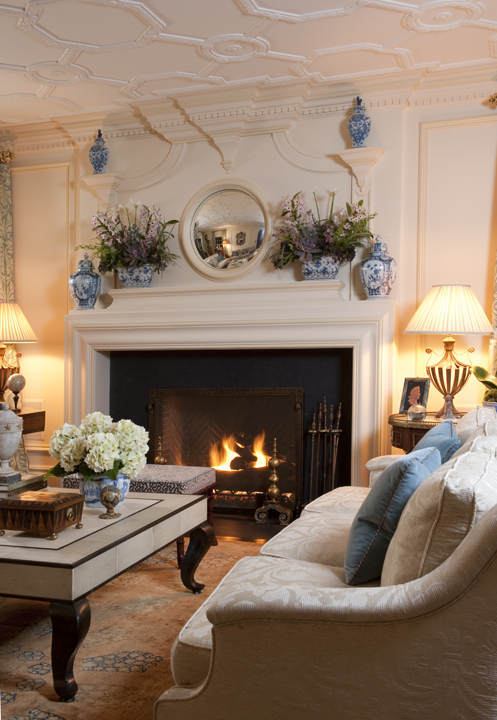 Today we continue our conversation with Timothy Corrigan on antiques and interiors. 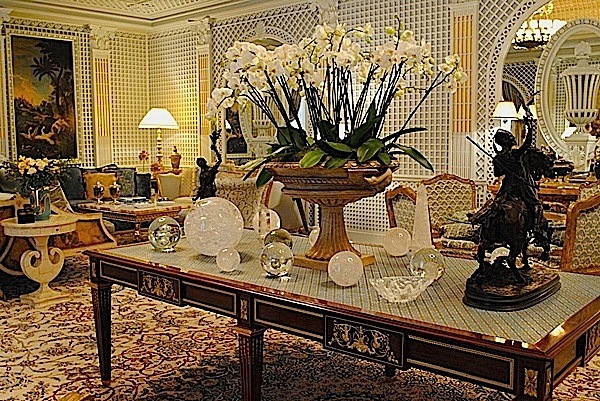 I am a fan of his great use of decorative antique pieces. They bring such a nuanced layering to his spaces and I wondered whether he shops for specific spaces or just buys what he loves, keeping a collection to cull from for future projects. And that of course is the secret – the magic of the mix. Corrigan knows not only how to select and assemble his collections but also how to accentuate the architectural details with them as above. 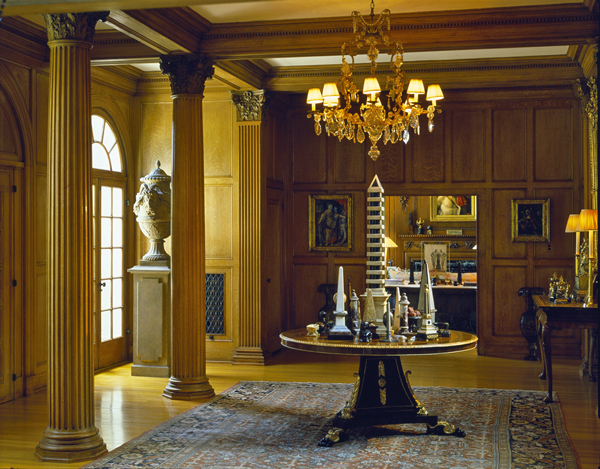 But perhaps the greatest hallmark of his work is his ability to make even the grandest spaces feel comfortable and livable – a true talent in such majestic environs. 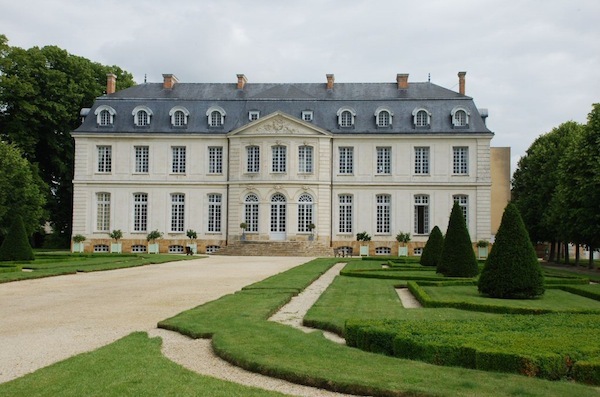 One of Corrigan’s most challenging projects to date was his own – the complete restoration and decoration of Château du Grand-Lucé, a magnificent 65 acre 18th century Loire Valley estate. After a three year, multi-million dollar renovation, the summer palace was returned to its former glory. 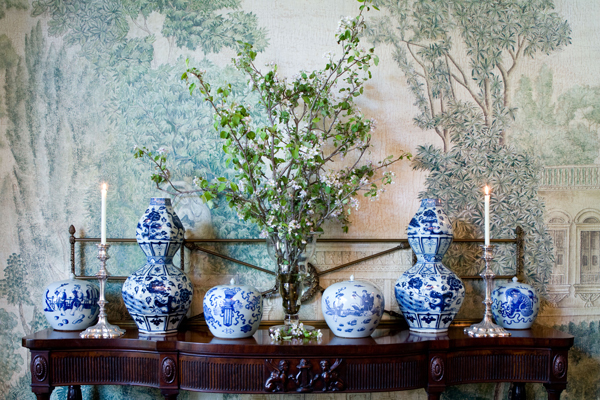 This fall, the full story will be revealed when Rizzoli publishes An Invitation to Chateau du Grand-Lucé. 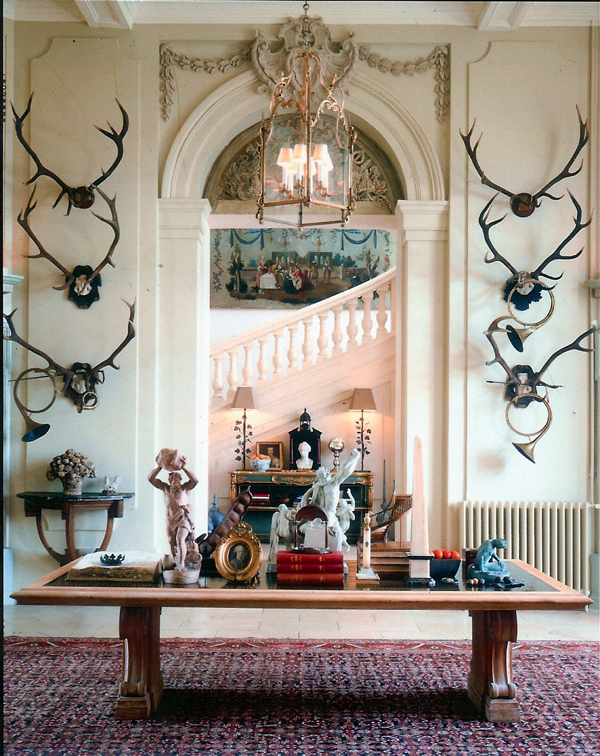 I’m sure we’ll be able to enjoy many sublime examples of living with antiques in interiors! This entry posted in architecture, art, design, furniture, interior design. 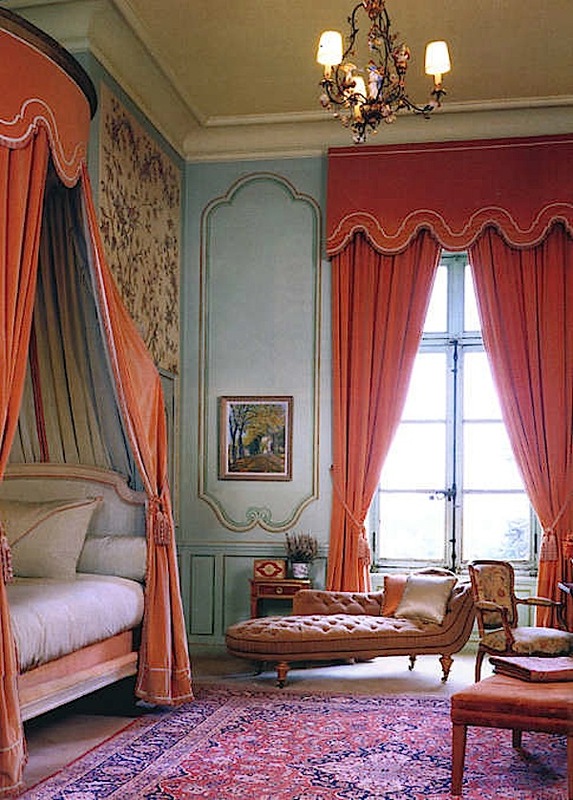 Entry Tags: antiques, Decorating, French Chateaux, French Interior Design, Home, Timothy Corrigan Bookmark the permalink. Thank you for your kind words Ann. Franki, I hope your wish comes true and you will enjoy the book! I can’t wait to see what he unveils in that chateau! Thanks for a great part 2. I think you will be surprised at what you see. Such a wonderful post Stacey! Loved reading Timothy’s point of view on antiques. 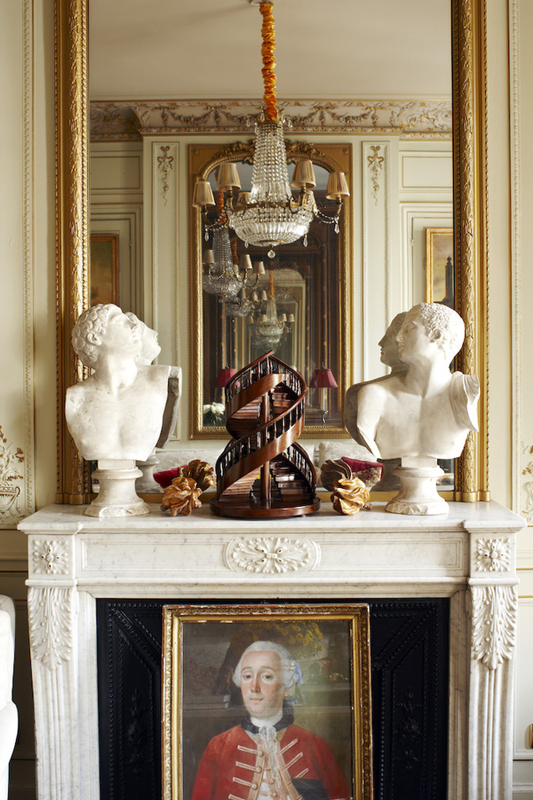 I am a huge fan of incorporating antiques in a space; it really does complete a room! Thanks for sharing. Your interview with Timothy was way more involved than our little Q & A – what great insight and beautiful pictures. We can’t wait for his book to come out this fall and see what he’s done with his home in France. It was an honor to be featured on both of your blogs! A really interesting post, I’m looking forward to reading his book. This little taste has me hungry to see the complete unveiling in Timothy’s book! Love how a collection can elevate something as simple as a comic book or fishing lure. More is definitely more!! Now I know what I give my best friends for Christmas! Cannot wait to see Tim’s book after viewing these pictures. Emily, thanks for your enthusiasm! My book, “An Invitation to Chateau du Grand-Lucé” will be available October 1, 2013. Please check my web site or Amazon for pre-order information. Hope you and your friends like it! 83 queries in 0.619 seconds.